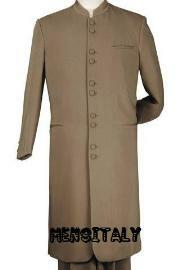 MensUSA.com offers you with various beige suits in amazing styles and designs at great price! We are highly specialized in making quality suits, made from the finest Merino worsted wool. MensUSA provides you with 100 percent authentic beige suits, which are brand new, best in quality and 100 percent defect-free. Our professional men's suit manufacturers, offers you with latest men's suits, Italian suits, tuxedos and business suits. When shopping for beige suits via MensUSA.com, we can guarantee you that our site is very much secure, and it's as much secure as shopping from a retail store! 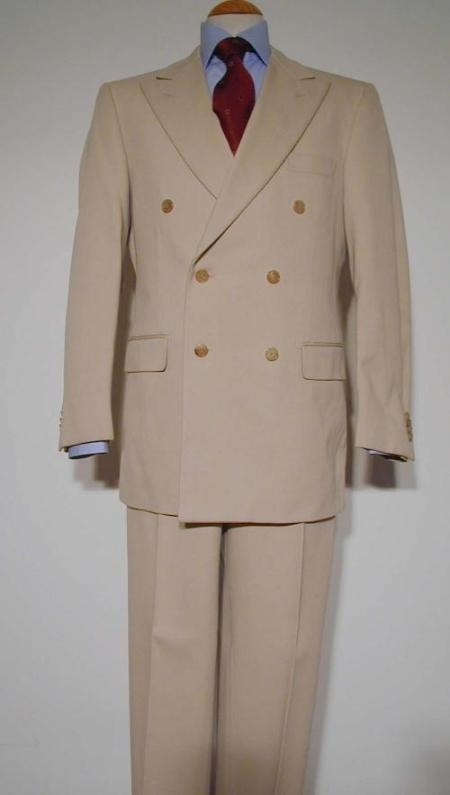 We have unbelievable beige suit collection on our site! We have the finest men's Italian beige suits with 3 buttons made from quality fabric, 3 piece vested suits made from 120's wool and 1 button notch lapel tan/beige suit, again made from super 130's soft light wool. Our collection also includes, beige suits with 3 buttons made with Italian super 150's wool and 4 or 5 button taupe/beige suit made from super 100's wool, available just for $199. You may even try our beige pinstripe suits with 3 buttons, beige color suit with 4 or 5 flat front buttons and Loriano Men's 4 button which has a textured weave pattern shark skin. If you want to try something different, try our conservative small mini checkers pattern 2 button suit or our extra long tan/beige suits with 3 buttons. 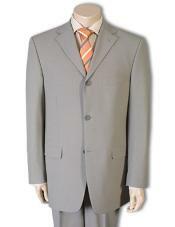 We also have beige/tan colored business suits which are an excellent wear for your official meetings. Our 4 button shark kin suits and 3 button boys tan worsted wool suits continue to be the most fashionable..
Our superb collection also includes 3 piece beige vested suits and 4 button notch shark skin beige suits. Why not impress you colleagues with our 3 button luxury beige pinstripe suit, which is tailored in a classy manner. This line also includes fashion 3 piece beige zoot suits. If you really want to be fashionable and make an impression wherever you go, then order your beige suits right away.